To ensure that you will yield 100% of AUTOFLUID's benefits in your field we provide training programs designed specifically for our users. They are aimed at beginners as well as confirmed users and they can take place at your offices or in ours during mixed companies sessions. Whichever your level you will be trained by instructors who are specialised in the field. 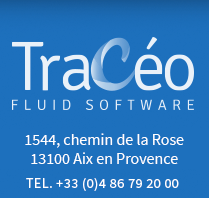 Tracéocad's® instructors are professionals in the field of CAD for fluid engineering. Their skills go beyond demonstration of software tools. We're open to your needs to help you make the best of your training sessions. We can base our sessions on your current projects and personalise each training. To remain competitive, HVAC engineers must constantly evolve with their profession and its tools. Tracéocad provide training in the field of HVAC so you can ensure that your skill set develops along with your career. - Optimise the quality and the production time of your drawings.